Primary offroad trail in Corral Canyon OHV Area. This is the main 4-wheel-drive trail in Corral Canyon OHV Area. It’s often run in combination with Sidewinder, Trail #90. 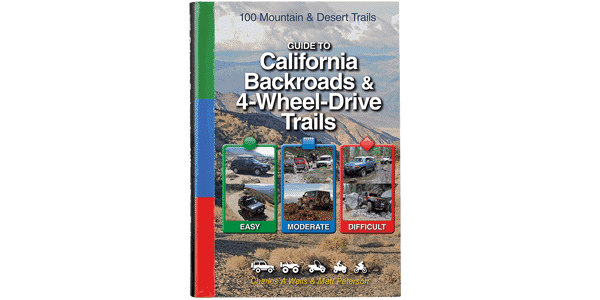 Most other trails in the OHV area are designated for ATVs and dirt bikes. The trail climbs to top of Bronco Peak, then drops steeply over 800 ft. to Los Pinos Mountain Loop, Trail #89. If you camp overnight, try to get a spot in Bobcat Meadow Campground (fee area). This trail will test your articulation to the max. It’s extremely tight with large boulders and few bypasses. Body damage and rollovers are not uncommon. We recommend front and rear lockers. (616) 445-6235.Cleveland N.F., Descanso R.D.